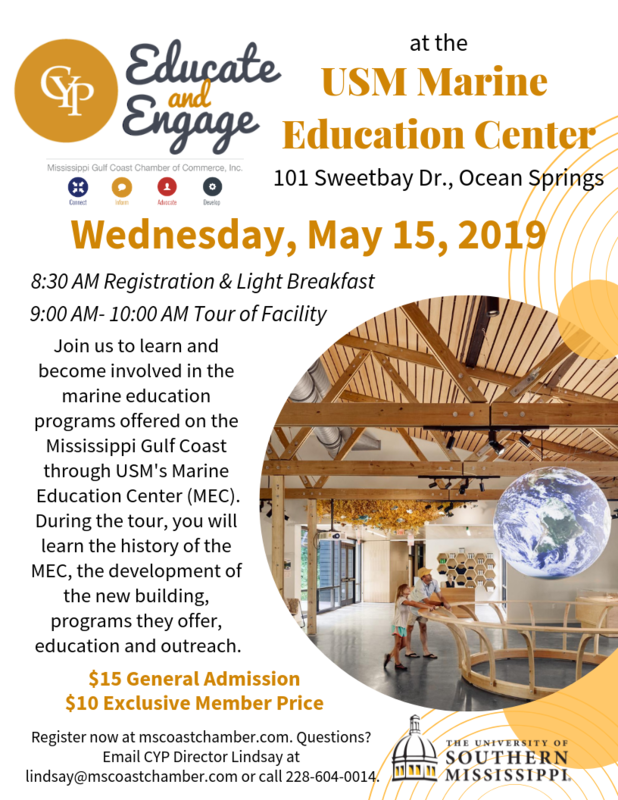 Join us to learn and become involved in the marine education programs offered on the Mississippi Gulf Coast through USM's Marine Education Center (MEC). During the tour, you will learn the history of the MEC, the development of the new building, programs they offer, education and outreach. Questions? Email CYP Director Lindsay at lindsay@mscoastchamber.com or call 228-604-0014.